The Waffle Factory Banella Lip Balm by Cire d'Abeille™ Skin Care is a Banana, Chocolate, and Hazelnut Cream infused moisturizing lip balm. 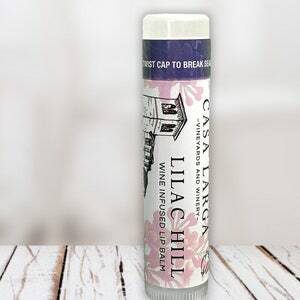 Banella Lip Balm is an absolute MUST for lip balm addicts!! Who doesn't love a waffle with a rich chocolate spread topped with fresh sliced bananas from The Waffle Factory?! We know a lot of Nutella® addicts and this lip balm is here to represent! 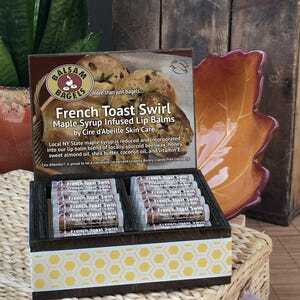 Now you can taste the chocolatey-nutty banana gooeyness of your favorite sweet treat all day long!! 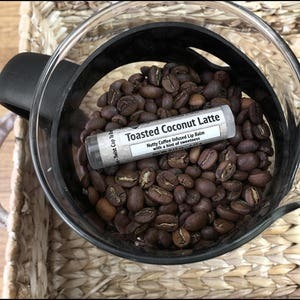 It's also super healing, cruelty-free, leaves your lips feeling soft and smooth, and is gluten free! Ingredients: Locally sourced beeswax, coconut oil, shea butter, sweet almond oil, castor oil, Vitamin E, flavor, spices, and stevia. 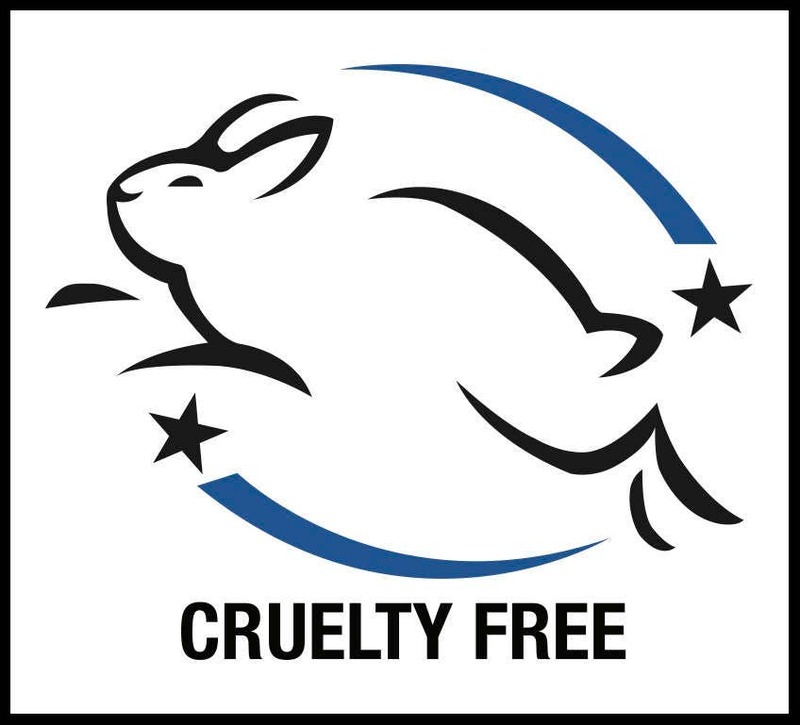 Cire d'Abeille™ does not test on animals and is proud to carry the Leaping Bunny Cruelty-Free accredited logo. Gluten Free. 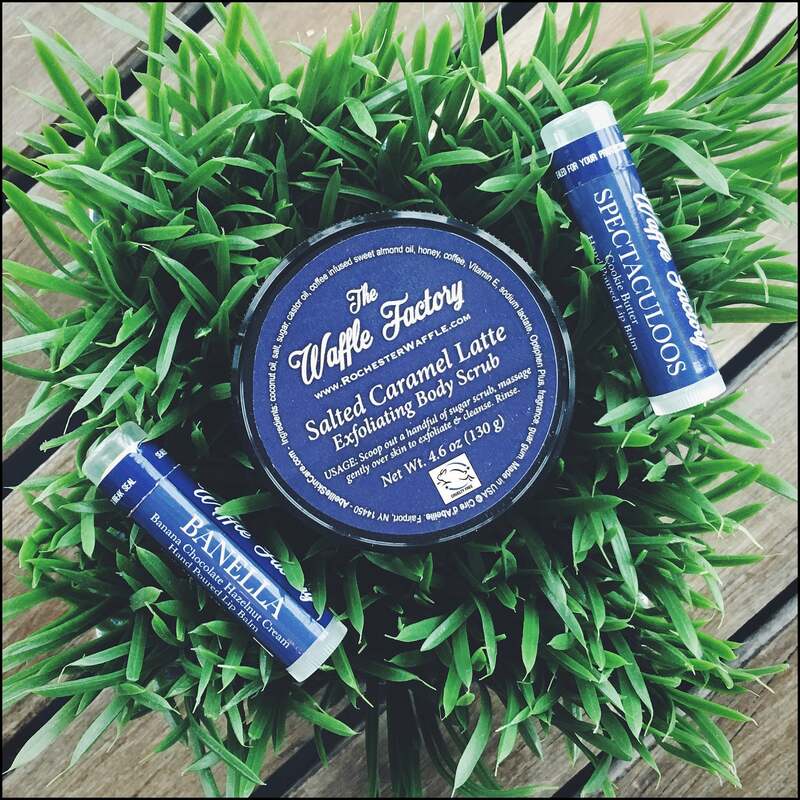 NOTE: Due to the all natural nature of these balms, they are heat sensitive. Store at room temperature. If left in the heat, melting may occur, and is completely natural. If melting occurs, refrigerate in upright position until solidified.